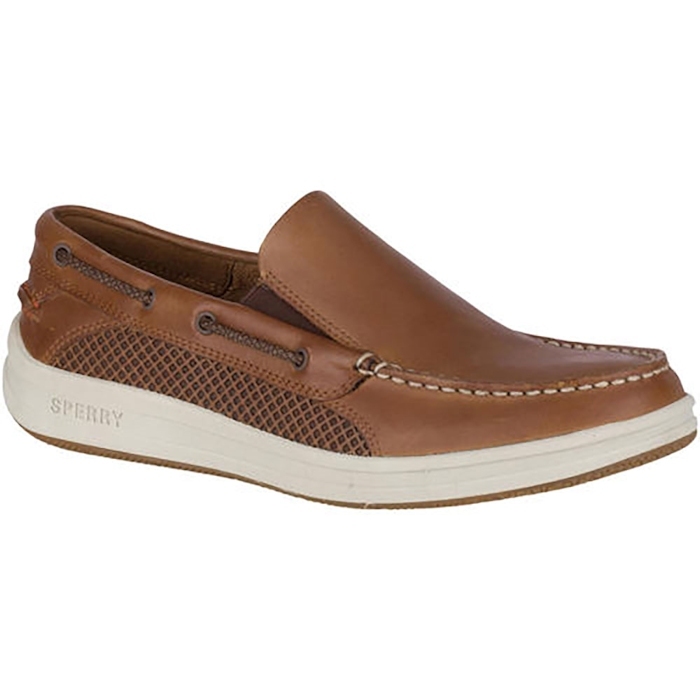 With a comfortable design and signature appearance, the Sperry Top-Sider Men's Gamefish Slip On Shoes in Dark Tan are a must for any land or sea adventure. These Sperry shoes for men will compliment your casual looks all year round. This classic update of Sperry's signature series feature lightweight leather uppers with a supportive rubber footbed for all day comfort. For a durable construction, these men's Sperry's have a vulcanized design with secure bonding between the uppers and outsoles. Made with Wave-Siping™ for ultimate traction in wet and dry conditions.